It's funny how some individuals have no clue about the work and effort that goes into handmade items. I remember selling my altered art pieces at a show, and among other things I had a few bottle cap magnets and pendants. I was taken by complete surprise when an older woman remarked to me "You're selling these for $3? You get the bottle caps for free!" I quickly responded that: The caps are not free. I have to purchase them new and it takes time and hard work to create a piece of art! Maybe it was her age, maybe she didn't like my work, or maybe she just thought I was taking advantage of people. She said nothing and left. That started me thinking about just how much time and effort go into any handmade item. I've broken the creative process down into four categories: Development, Implementation, Assessment and Marketing. What am I going to do? Is there a theme? What is the design? What supplies do I need? Where can I buy them? How much will they cost? What will I do with the finished product? Do I keep it, sell it, or give it away? Gather together the specific items needed. Experiment with various techniques to find the right one for your project. Re-assemble your creation when the first one isn't to your liking! Fine tune and clean up your finished piece. and sometimes - Start all over again because it's all wrong!! Did your work come out as expected? Did it take too long? Are you happy with it? Would you make it again? Is it good enough to sell or give away? If yes, then proceed to Marketing. If no, keep it for yourself! Will I sell online, in a store, or at a show? How much can I sell it for? How much would I pay for a similar item? When calculating pricing, don't forget the cost of supplies, cost of marketing, and payment for your time. 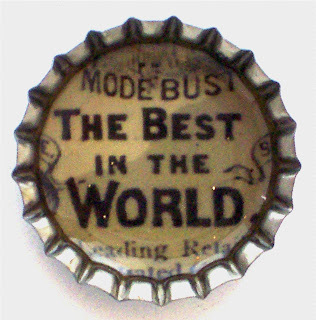 Okay - back to my bottle cap artwork. Now that I've thought about this whole thing, I think I better raise my prices! $3.00 seems like a bargain to me! My ancestors settled in Buffalo in the 1800's from Germany. Although I'm now residing in Las Vegas, I lived in Western New York for 50 years, and still consider it home. My business name integrates my love of history, vintage, and my hometown pride.